Formed in Kuopio, Finland by brothers Aarni & Jaakko Metsäpelto while they were still in junior high, Block Buster spent their teenage years honing their sound and identity. While still in the midst of not being of legal age to play clubs and instead tearing it up at local backyard and basement parties to their sixteen – seventeen year old friends, the band suddenly found themselves being chosen to open for Bon Jovi at Helsinki Olympic Stadium. 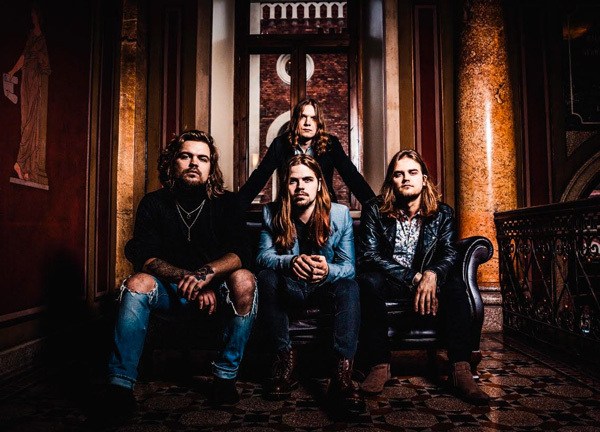 Since then, Block Buster have been honing their craft playing gigs at festivals and those clubs they are now legally allowed to enter, while also releasing an EP and two singles which have created a nice buzz in the Finnish rock scene and drew the interest of Frontiers.